Julie Miller Money is an award-winning wedding harpist specializing in wedding ceremony music, wedding music and other events in the Greensboro, Winston-Salem, High Point, Triad Area. I recently hired Julie Money as a Harpist for the ceremony portion of my daughter’s wedding in Winston-Salem. Julie was a delight to work with and to my surprise and her credit she is also a gifted vocalist. As it turned out my selections included more vocals than instrumentals. Julie sang and played flawlessly. There were tears of joy from guest that attended and I received many compliments on my choice of Julie. It all contributed to a beautiful wedding ceremony. Julie is talented as well as great to work with. If you are looking for someone who can handle classical as well as modern, sing and play the harp at the same time, you have found her. I highly recommend her. Julie was easy to work with. We met well in advance to pick songs for our ceremony. She was very knowledgeable and helped guide us through this process. At the wedding, she was early, prepared and organized. Everything went exactly as planned. The music was beautiful. She even sang while playing during part of ceremony and it brought everyone to tears. My wedding day was more perfect and special because of Julie. At the reception, everyone complimented, "the harpist," and thought it was a great touch. Thank you Julie!!!! I know it's been a while but I wanted to let you know how much we appreciated your help with our wedding day! You did a fantastic job and we cannot thank you enough. We still to this day get wonderful comments on your solo and the music you played during the ceremony/dinner. Best wishes for you and your business! Julie Money is a wonderful harpist. She did a phenomenal job with the harp (and vocals) and is the sweetest person to work with. She is very accommodating with out of town clients as well, sending us videos of her music and allowing the process to be very easy from afar. 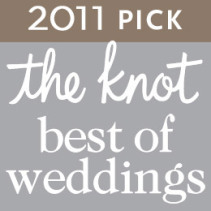 Julie exceeded our overall expectations on our wedding day! When she plays the harp it's a magical feeling. We would recommend her as a harpist anytime. Thank you Julie! We arrived back from our honeymoon yesterday but I wanted to give you a huge thank you for playing the harp and singing at our wedding!!! It was all so beautiful and I really appreciate you making our day that much more special! You are very talented!! I just want to thank you for the amazing job you did. Thank you for sharing this very special day with us. She was absolutely wonderful! She made my daughters wedding very special. Everyone raved about her performance. Highly recommend!!! I am sure that you have received many "fan" letters during your career as a musician. So, here is just one more. I just enjoy your music so much. It is so heart touching, and I feel that you touch my soul with your lovely voice and marvelous harp. I heard you perform at my niece's wedding... you sang "The Lord's Prayer." The music from your fingertips and voice just seem to float over all of us sitting there. It was a beautiful moment that I will never forget. I really hope that someday you record "The Lord's Prayer" for the whole world to enjoy. Everyone needs to hear your rendition! Happy Holidays, Julie, and may you continue to bless our lives with the gifts God has so richly blessed you with.